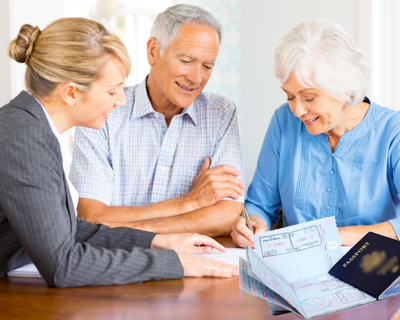 If an elderly dependant visa applicant is a parent, grandparent or a dependant of a relative settled in the UK, they will be permitted to apply for Indefinite Leave to Enter or Remain in the UK. The applicant applying under this category needs to provide evidence of their relationship with the UK resident they wish to stay with, along with evidence that the sponsor can support them financially without recourse to any public funds. Substantial confirmation that the applicant has the consent from their sponsor to stay with them in the UK is also required. Unless your sponsor is present and settled in the UK, you will not be able to apply under this category. An applicant must also be aged 65 or over. However in certain exceptional or compassionate circumstances, the age may be reduced to be lower than 65 years at the discretion of the Home Office. If you require clarification of what these circumstances may include, contact our immigration experts who are experienced with UK elderly dependant visa applications. The applicant is a widowed mother or father aged 65 years. The applicant is a parent or grandparent aged 65 years and above, who has been remarried and cannot rely on children from the second marriage, if any, for financial support. Evidence under this category needs to be provided by the applicant to prove that their circumstances are true and, most importantly, there is either financial dependency on the sponsor or most exceptional circumstances exist.